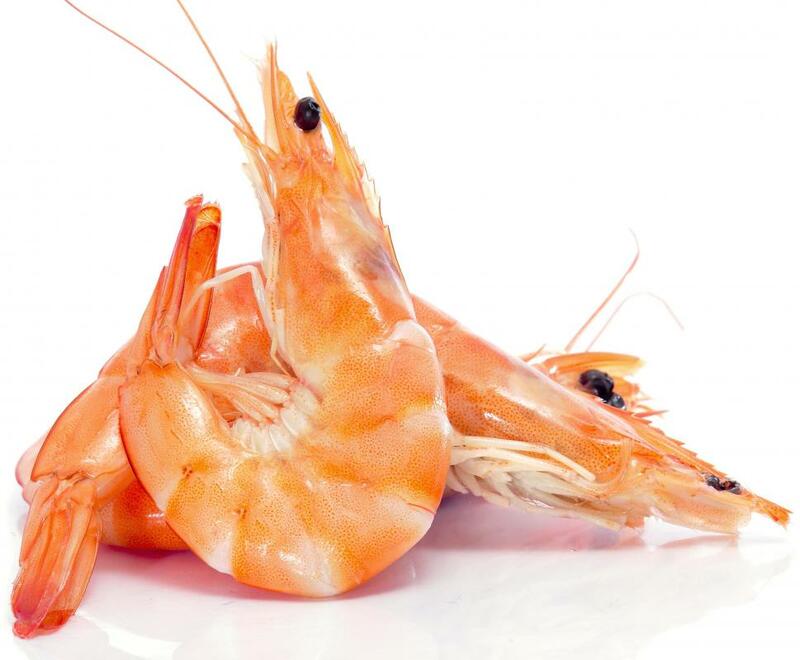 If you have purchased fresh shrimp, you will most likely not need to thaw them. Frozen shrimp, on the other hand, should be thawed. To thaw frozen shrimp, they should be removed from the freezer and placed in the refrigerator. They can also be placed in a bowl of cold water, which will help them thaw faster. Some people may choose to buy shrimp with the heads on. If you want to butterfly shrimp, it is best if the heads are removed. To remove the heads, you should grasp the body firmly, pinch the head, and twist. The head should come off, along with some of the intestinal vein that runs down the back. The dark vein that runs down a shrimp's back should also be removed. If it remains in place, it can affect the taste of the shrimp. Removal of this vein is usually done either before or while you butterfly shrimp. To remove the veins before you butterfly shrimp, you will need a small, sharp knife. A paring knife works well for this. Hold the shrimp's body in one hand, with the back facing up. Use the knife to make a very shallow cut from the head to the tail. Scrape out the dark vein with the tip of the paring knife and rinse the shrimp. You will also need a sharp knife to butterfly shrimp. Grasp the shrimp by the body, and carefully cut about three-quarters of the way through the shrimp, from the head to the tail. If you haven't removed the vein yet, you should remove it at this point. Rinse the shrimp in cold water, and open the shrimp where you cut it. Lay it flat on a paper towel to drain with the cut side down. Butterfly shrimp can be cooked several ways. You can bread the shrimp and deep fry it. It can also be cooked on a grill. Some people also enjoy stuffed shrimp. This can be accomplished by making stuffing, which can be put into the shrimp. A mixture of crab meat, bread crumbs, Parmesan cheese, and egg makes a simple stuffing for shrimp. How Do I Cook Frozen Shrimp? What Are the Different Types of Shrimp Soup?